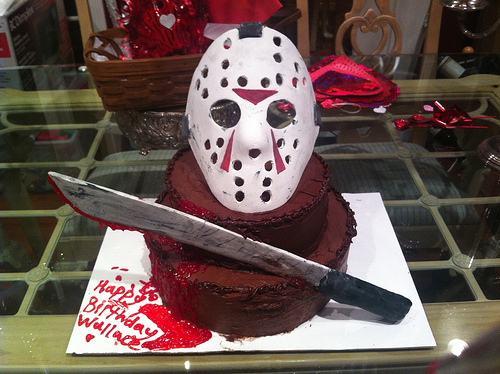 Happy Friday the 13th, chocolaty birthday to me! So, it might mean according to few that it was a supposed to be an unlucky day for me but it wasn’t. It was quite a good day for me actually. I went to the university dressed in my Eid clothes and was praised by many fellows! 😀 ( and honestly who doesn’t like to be praised). I received a very cute hand-made birthday card from my siblings, which made it even better for me. I guess this is what my birthday cake this year should have looked like!